For the past 35 years, the Amadeus Choir has thrived under the inspirational leadership of Conductor Lydia Adams. During this time, it has built a reputation as one of Canada’s preeminent choirs, presenting a wide range of choral repertoire. Guided by Ms. Adams, the Choir has been a leading force in commissioning, premiering, performing, and recording Canadian choral works. Kathleen Allan is the Artistic Director of Canzona, Winnipeg’s professional Baroque choir, Director of Choral Studies and Associate Conductor of the Symphony Orchestra at the Vancouver Academy of Music, and Associate Conductor of the Vancouver Bach Choir. Her expertise ranges from medieval repertoire to contemporary works, and she is particularly interested in the intersections found between music of diverse genres. In high demand as a conductor, composer, and soprano, Ms. Allan made her Asian conducting debut in 2015 performing Handel’s Messiah and Bach’s Christmas Oratorio in Osaka and Tokyo, Japan. In 2016, she was the recipient of the Sir Ernest MacMillan Prize in Choral Conducting which accompanied her appointment as Apprentice Conductor of the National Youth Choir of Canada. She is the founding co-artistic director of Arkora, a chamber music collective dedicated to interdisciplinary performance. Her compositions have been commissioned, performed and recorded by ensembles throughout the Americas and Europe and have been featured at two World Symposiums on Choral Music. Also active as a soprano, she has appeared as a soloist with the National Broadcast Orchestra of Canada and Berkshire Choral Festival Choir, the Vancouver Symphony Orchestra, and the Vancouver Bach Choir. A passionate interpreter of new music, she has premiered over two dozen solo works for the voice. In addition to freelancing regularly in Canada and the United States, she has sung as a member of the Vancouver Chamber Choir, the Vienna-based Arnold Schoenberg Chor, Skylark Vocal Ensemble in Atlanta, Clarion Choir in New York City, and the Yale Schola Cantorum. Having nurtured a passion for early music since childhood, Ms. Allan has studied and performed with many of Baroque music’s leading figures including Nikolaus Harnoncourt, Masaaki Suzuki, Nicholas McGegan, Helmuth Rilling, and Simon Carrington. She holds a degree in composition from the University of British Columbia and a master’s degree in conducting from Yale University. Enlivening Toronto’s arts community for 45 years, the award-winning Amadeus Choir is a semiprofessional mid-sized choir of auditioned voices from all parts of the GTA and surrounding areas. 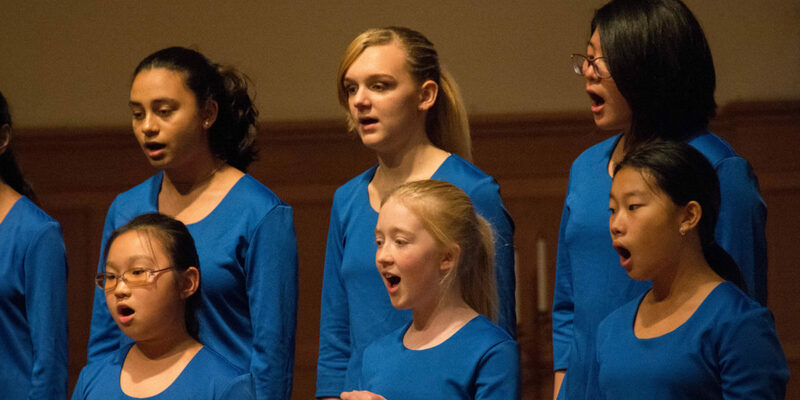 Led by Artistic Director and Conductor Lydia Adams since 1984, the choir champions the best of choral music and premieres works of Canadian and international composers through a selfproduced Toronto concert series, guest performances, and special events. Known well beyond Toronto through tours, festivals, recordings, and national and international radio broadcasts, the choir partners and collaborates with many professional performing arts organizations in the GTA. In addition to its choral workshops for conductors and students, the Amadeus Choir engages in educational and community outreach by commissioning works from established and emerging Canadian composers. The Amadeus Choir has received numerous awards throughout its history, most recently when it travelled to Nova Scotia as the keynote choir at Podium 2014, Choral Canada’s biennial conference. There the choir was awarded the ACCC Outstanding Innovation Award 2014 for “Music of the Spheres,” a multi-media collaboration with the Elmer Iseler Singers, The Ontario Science Centre, and The Roberta Bondar Foundation and directed by conductor Lydia Adams.